Our pets rely on us to feed them and take care of them, and it is our responsibility to be aware of the portion guidelines for our pets. Why is portion control so important, you may ask? These guidelines are what help keep our pets in a healthy weight range. Obesity in animals creates health problems and reduces their life expectancy. If your pets weight is 15% or more over the suggested weight range for your pets breed and age, your pet is classified as obese! Health problems riddle obese pets. These include, but are not limited to, high blood pressure, diabetes, joint pain, shortness of breath, osteoarthritis; the list can go on. The life expectancy of an obese pet is cut drastically short. Their bodies are not meant to be riddled with fat weighing on their internal organs or bone structure. Our pets are meant to be lean and healthy – that is their natural existence. Caring for your pet is your duty and responsibility. With the help of your veterinarian, you can come up with a plan to start shaving the pounds off your pudgy pooch or kitty. This should be done slowly to avoid starvation, or shock, or even death. When you monitor your pets’ portions you are helping them lead happy, healthy, and long lives. 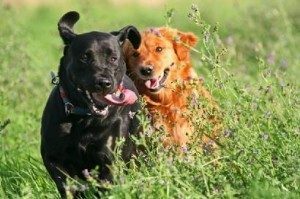 Keep your companion by your side for many years by asking your vet for help in changing your pet’s diet and life today!